Aheer acclaimed but not in the clear. UCP investigating alleged ballot-stuffing in North East Calgary. Photo: Nomination candidates Leela Aheer, Shawna Gawreluck, Janet Eremenko, and Elisabeth Hughes. Despite the drama of restraining orders and alleged death threats, MLA Leela Aheer was acclaimed as the United Conservative Party candidate in the new Chesteremere-Strathmore district after she was the only candidate to officially submit her nomination papers with the party. But Aheer is not in the clear. Current Strathmore-Brooks MLA Derek Fildebrandt, who now sits as an Independent Conservative and was barred from challenging Aheer in the nomination, is expected to challenge Aheer in the general election. The drama continues in north east Calgary as the UCP says it is now investigating allegations of ballot-stuffing at the founding meeting of the Calgary-North East constituency association. The allegations were made public through a video posted by a UCP member on YouTube following the meeting. Current MLA Prab Gill, who was elected as a Progressive Conservative in the 2016 Calgary-Greenway by-election, is challenging Anand Chetty and Tariq Khan for the UCP nomination in this district. Nate Pike has been nominated as the Alberta Party candidate in Calgary-North East. NDP MLA Brian Mason held a press conference this morning to announce he will not seek re-election in 2019. Next year will mark thirty-years in elected office for Mason, who currently serves as MLA for Edmonton-Highlands Norwood and the Minister of Transportation. He was elected to Edmonton City Council in 1989 and as the MLA for Edmonton-Highlands in a 2000 by-election. He is the longest serving MLA currently in the Alberta Legislature. Bonnyville-Cold Lake-St. Paul – Former St. Paul mayor Glenn Anderson has been nominated as the Alberta Party candidate. Calgary-Edgemont – Joanne Gui has been nominated as the Alberta Party candidate. Calgary-Elbow – Janet Eremenko is seeking the New Democratic Party nomination. Eremenko was a candidate for Calgary City Council in Ward 11 in the October 2017 election where she finished third with 20 percent of the vote. Past Ward 8 city council candidate Chris Davis is seeking the UCP nomination in this district. Drayton Valley-Devon – Kieran Quirke has been nominated as the NDP candidate. He is the Chair of the Leduc-Nisku Economic Development Board and co-chair of the Alberta NDP Rural Caucus. 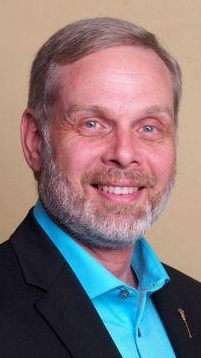 Edmonton-Decore – MLA Chris Nielsen is seeking the NDP nomination in this north Edmonton district. Nelson was first elected as MLA in 2015, earning 67 percent of the vote. Edmonton-North West – Todd Ross is seeking the Alberta Party nomination. Ross was the Liberal Party candidate in Edmonton-Castle Downs in 2015, earning 4.9 percent of the vote. Edmonton-Whitemud – Elisabeth Hughes is seeking the UCP nomination. Hughes works as a constituency assistant in the office of Edmonton-Riverbend Member of Parliament Matt Jeneroux. Leduc-Beaumont – MLA Shaye Anderson will seek the NDP nomination, which has been scheduled for July 18, 2018. Anderson was first elected in 2015 with 38 percent of the vote. Corinne Hubert is seeking the Alberta Party nomination. Lesser Slave Lake – Judy Kim-Meneen is seeking the Alberta Party nomination. Maskwacis-Wetaskiwin – LGBTQ activist Chevi Rabbitt is seeking the Alberta Party nomination in this newly redrawn central Alberta district. Morinville-St. Albert – Shawna Gawreluck is seeking the NDP nomination in this new district north of Edmonton. Gawreluck is a lab technologist and a resident of Sturgeon County. She was the federal NDP candidate in the 2017 by-election in the Sturgeon River-Parkland district. 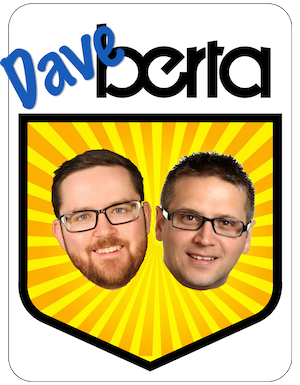 This entry was posted in Alberta Politics and tagged Alberta Election 2019, Alberta Election Candidate Nominations, Alberta Liberal Party, Alberta NDP, Alberta Party, Anand Chetty, Ballot-Stuffing, Bonnyville-Cold Lake-St. Paul, Brian Mason, Calgary-Edgemont, Calgary-Elbow, Calgary-North East, Chestermere-Strathmore, Chevi Rabbitt, Chris Davis, Chris Nielsen, Corinne Hubert, Death Threats, Derek Fildebrandt, Drayton Valley-Devon, Edmonton-Castle Downs, Edmonton-Decore, Edmonton-Highands-Norwood, Edmonton-North West, Edmonton-Riverbend, Edmonton-Whitemud, Elisabeth Hughes, Glenn Anderson, Janet Eremenko, Joanne Gui, Judy Kim-Meneen, Kieran Quirke, Leduc-Beaumont, Leela Aheer, Lesser Slave Lake, Maskwacis-Wetaskiwin, Matt Jeneroux, Morinville-St. Albert, Nate Pike, Prab Gill, Restraining Orders, Shawna Gawreluck, Shaye Anderson, Strathmore-Brooks, Sturgeon River-Parkland, Tariq Khan, Todd Ross, United Conservative Party on July 4, 2018 by Dave Cournoyer. Alberta Candidate Nomination Update: Lisa Davis in Calgary-Bow, Another former PC MLA in with Alberta Party, and more. Calgary school trustee Lisa Davis announced this week that she will seek the United Conservative Party nomination in the Calgary-Bow district. While Davis’ conservative leanings are well-known, her desire to leave the trustee role she was only first elected to a short 9 months ago came as a surprise and has led to calls for her resignation by some groups. 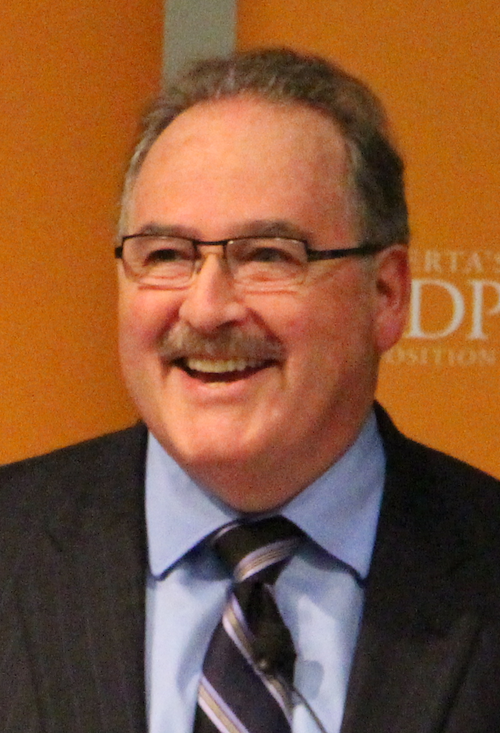 Davis ran as part of the UCP-connected ‘Students Count’ slate in the October 2017 election. She will face at least three other candidates in the nomination contest, including her former campaign manager, Demetrios Nicolaides. Anderson and Fischer faced each other in the 2015 election as the Wildrose Party and Progressive Conservative candidates in the district. It appears as though former Progressive Conservative MLA Ron Casey is organizing for the Alberta Party in the new Banff-Kananaskis district. Casey was MLA for Banff-Cochrane from 2012 to 2015 and Mayor of Canmore from 1998 to 2001 and 2004 and to 2012. He was unseated in 2015 by New Democrat Cameron Westhead. Calgary-Klein – Julie Huston is seeking the UCP nomination. She previously worked as a constituency assistant to former Wildrose MLAs Paul Hinman and Jeff Wilson. Calgary-North West – Lawyer Cyndy Morin is seeking the UCP nomination. Edmonton-Beverly-Clareview – Jeffery Walters is seeking the UCP nomination. Edmonton-City Centre – Stephanie Shostak is seeking the Alberta Party nomination. Shostak is the former north Edmonton regional director for the PC Party. Shostak. Fort McMurray-Wood Buffalo – MLA Tany Yao is seeking the UCP nomination. He was first elected as MLA for this district in 2015 as the Wildrose Party candidate. June 23, 2018 – Kieran Quirke is expected to be nominated as the NDP candidate in Drayton Valley-Devon. June 24, 2018 – Gul Khan is expected to be nominated as the Liberal Party candidate in Calgary-North East. June 25, 2018 – Todd Loewen is expected to be nominated as the UCP candidate in Central Peace-Notley. The Alberta Party is expected to officially nominate Yash Sharma in Edmonton-Ellerslie, Carla Stolte in Edmonton-Glenora, and Mark Nikota in Drumheller-Stettler. June 26, 2018 – Jonathan Dai is expected to be nominated as the Alberta Party candidate in Edmonton-Whitemud. Dai was the PC Party candidate in Edmonton-Highlands-Norwood in the 2015 election and the Liberal candidate in Edmonton-Strathcona in the 2000 federal election. June 27, 2018 – UCP members will select Joseph Schow or Marc Slingerland as their candidate in the new Cardston-Siksika district. Kara Levis is expected to be nominated as the Alberta Party candidate in Calgary-Klein. June 28, 2018 – Marg McCuaig-Boyd is expected to be nominated as the NDP candidate in Central Peace-Notley. June 29, 2018 – Nate Pike is expected to be nominated as the Alberta Party candidate in Calgary-North East. This entry was posted in Alberta Politics and tagged Alberta Election 2019, Alberta Election Candidate Nominations, Alberta NDP, Alberta Party, Banff-Cochrane, Banff-Kananskis, Calgary-Bow, Calgary-Klein, Calgary-North East, Calgary-North West, Cameron Westhead, Cardston-Siksika, Carla Stolte, Carrie Fischer, Central Peace-Notley, Cyndy Morin, Demetrios Nicolaides, Drayton Valley-Devon, Drumheller-Stettler, Edmonton-Beverly-Clareview, Edmonton-City Centre, Edmonton-Ellerslie, Edmonton-Glenora, Edmonton-Whitemud, Fort McMurray-Wood Buffalo, Gul Khan, Highwood, Jeff Wilson, Jeffery Walters, Jonathan Dai, Joseph Schow, Julie Huston, Kara Levis, Kieran Quirke, Lisa Davis, Marg McCuaig Boyd, Mark Nikota, Mark Slingerland, Nate Pike, Paul Hinman, Richard Sigurdson, Ron Casey, Stephanie Shostak, Students' Count, Tany Yao, Todd Loewen, United Conservative Party, Wayne Anderson, Yash Sharma on June 23, 2018 by Dave Cournoyer.